So awesome! Custom made sushi anyone!? If you love the fusion rolls and you're a fan of unorthodox Japanese fare, this is for you! Let's Roll is located in the Landsdowne Mall food court! There are actually quite a few hidden gems in Landsdowne Mall, like Taco Luis! You can also get a combo which includes a seaweed salad or yam fries, and miso soup! Props to the guy for being hygienic! The ingredients were all really neatly laid out and the person making it cleaned the utensils in between different ingredients, which I really appreciated! My lovely creation: Yam Tempura, Ebi, salmon, Unagi, Mango, wrapped in Soy with mixed rice, topped with Masago, Sesame Seeds & Japanese Honey Mustard! This was delicious! If I were to change one thing though I would omit the mango. I found that the mango tended to overpower the other flavours, so I picked the pieces out and consumed it at the end haha. I also found the masago to make the roll a little soggy, because it was a little wet. The yam tempura was nicely battered and very sweet. The Unagi pieces were quite large, and were reasonbly well seasoned. The honey mustard was on the sweeter side, and slightly tangy. I really recommend you get the mixed rice because not only is it healthier for you, it's also more yummy haha! Shrimp Tempura, cheese, smoked salmon, tamago, wrapped with soy mixed rice, topped with tempura crunch, sesame seeds, creamy miso sauce! This combo was even better! Especially with the tempura crunch, it added another dimension of texture to the roll! The smoked salmon had a strong smokey flavour and paired very well with the cream cheese! The shrimp and tamago faded into the backgound because the other flavours were too strong haha. The miso sauce was creamy, with a potent miso flavour that I really enjoyed! Whoever thought of this concept is genius! I hope they have this patented haha! Really, you can't go wrong, all your favourite sushi ingredients combined in a roll?! Yesss! There's something here for everyone, you can tailor the flavours to suit your own personal taste! And the fact that the ingredients are fresh and that it's healthy makes it even better hehehe! I'll definitely be a regular from now whenever I find myself in the Landsdowne area! Stumbled upon your blog while looking for reviews of Bubble Queen, thanks for the in-depth review! Do you post on Instagram? They had a location on Denman @ Davie, next to the Starbucks. I walked in once, intrigued by their concept. But the prices scared me away. Hope the Lansdowne Mall store is more successful. Check out my Vancouver Blog Roll! I have a Vancouver area blogroll with the most recently updated blogs at the bottom of my site! It's a really convenient way to follow the most recently updated blogs. Let me know if you want me to add your blog to my list! 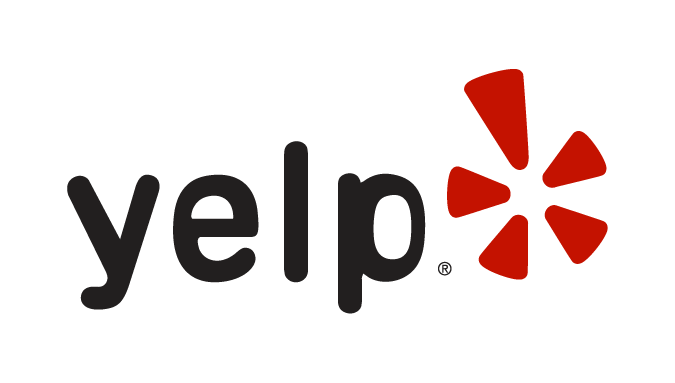 Click on the image above to read my original reviews for Yelp, they're different from the ones on my blog! C-Lovers - AYCE Fish & Chips! Bubble Queen - An EPIC Review of 21 Items! Vancouver Blog Roll - Recently Updated! Does Masayoshi represent Vancouver’s “Best Japanese”? Scene Card/ Points Fraud - It's REAL and what to look out for! Ta Bom Korean Cuisine - Robson Location!! Follow Me Foodie to Lyon (the culinary capital of France)! Unicorn Frappuccino - Worth the Instagram-hype? Toronto | Cora’s – At Least I Was Being Healthy? Award-Winning Disney’s NEWSIES Broadway Musical in Vancouver!